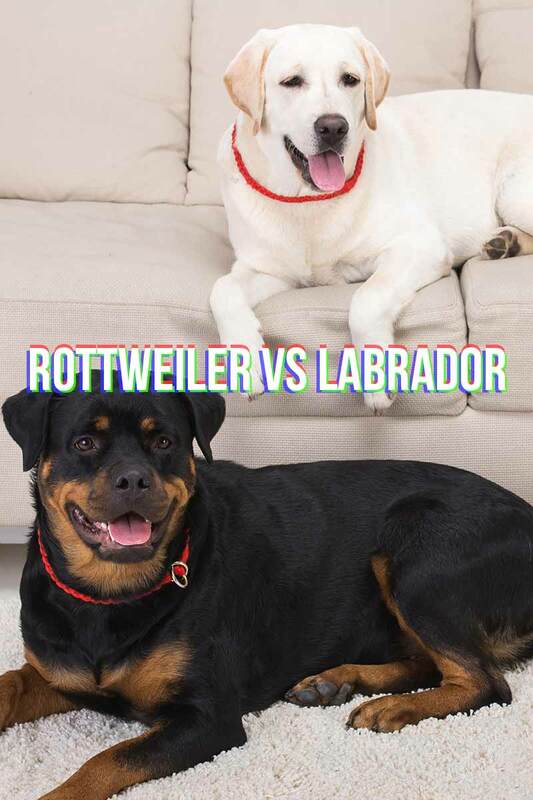 Rottweiler vs Labrador - Which Pet Will You Choose? 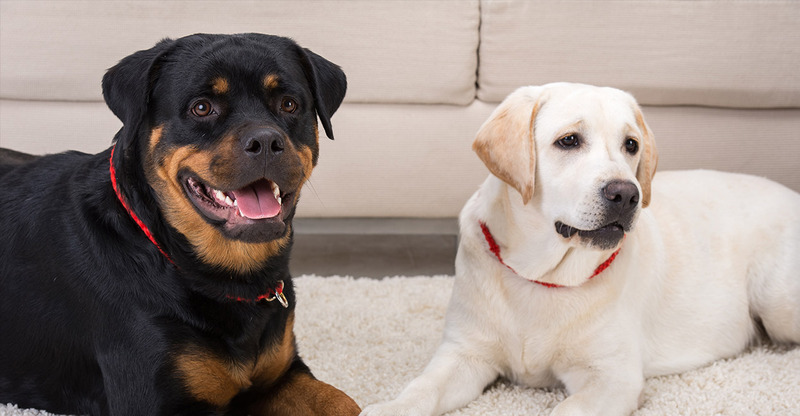 Are you struggling to choose between a Rottweiler vs Labrador as your next pet dog? You have a big decision on your hands! Both breeds can make amazing canine companions. They have similar training but different socialization needs. In this article, we’ve compiled all the detailed information you need to know to help you make the best choice! For 26 years, the Labrador retriever has been the American Kennel Club’s most popular pet dog breed. The Rottweiler holds the number eight spot, making it not quite as popular. Nonetheless, the Rottweiler vs Labrador choice is still a pretty hard one to make! So let’s take a closer look at both the Rottweiler and Labrador by comparing their similarities and differences. In particular, their size, longevity, grooming requirements, temperament, and overall health! One of the biggest differences between the Labrador retriever vs Rottweiler is simply their sizes. The adult lab will stand at 21.5 to 24.5 inches (from paw pads to shoulder) whereas females tend to be about an inch shorter than males. An adult female Labrador weighs anywhere from 55 to 70 pounds and an adult male tends to weigh slightly more, from 65 to 80 pounds. 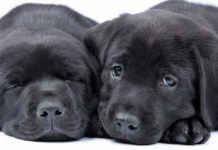 The Labrador’s size can be affected by a number of factors including the order of birth, size of parents, diet, and health and lifestyle during puppyhood. An adult Rottweiler is definitely a bigger dog! An adult male can stand anywhere from 22 to 25 inches (from paw pads to shoulder) and some adults will grow to stand 27 inches or taller. They can weigh in anywhere from 110 to 130 pounds. Adult females tend to be about two inches shorter than males and weigh anywhere from 77 to 110 pounds. With bigger dogs, of course, comes bigger food and supplies requirements. Everything from your dog’s kennel or travel crate, leash and collar, food and water bowls, blankets, and dog beds will need to be chosen (and budgeted for) with this in mind. Many dog lovers say their pet has a lifetime full of good days and one bad day—the day their dog passes. And it can be so heart wrenching to say goodbye! So of course, you want to make sure your new dog will live as long as possible. You can help with this by ensuring your dog has a healthy diet and fitness regimen, a restful place to sleep, regular grooming sessions and checkups at the vet. As well as plenty of playtime and lots of love! Genetics (the genes your puppy receives from the mom and dad dog) also plays a major role in your dog’s lifespan. This means researching a prospective breeder’s background and reputation is a vital part of choosing your new puppy. Research shows that another key component of longevity is maintaining a healthy body weight and plenty of lean muscle mass. For this, your dog will need to get lots of good, healthy exercise to give them the best chance of living a long happy life. So, let’s take a quick look at the expected lifespan of the Lab vs Rottweiler. Today’s Labradors typically live for 10 to 12 years. However, some Labs can live longer than 14 years—not uncommon for puppies from healthy parents. 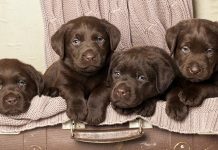 You can learn more about the expected Labrador retriever lifespan and how to research to find the healthiest Lab puppy in this article. Today’s purebred Rottweilers typically live from 8 to 10 years. Interestingly, female Rottweilers can achieve exceptional longevity (defined as 13 years) if they are not spayed. However, spaying a female Rottweiler within the first four years of life can decrease her longevity to meet the typical expectations. Learn more about the Rottweiler breed and the importance of exercise and training for their health and happiness in this article. Trying to choose between a Rottweiler or Labrador based on their grooming needs? You may be out of luck! Both breeds sport a short double layered coat that shed moderately on an ongoing basis and more vigorously twice per year (seasonally). The undercoat is downy soft and insulating, whereas the top coat is more coarse and has natural water-repellant and protective oils. Both breeds have similar brushing and grooming needs. Weekly brushing can help you keep on top of your dog’s shedding all year round! It’s also advisable to invest in a professional grooming comb and brush set, as well as a vacuum cleaner and lint roller! Brushing and grooming is also a great opportunity to check your dog’s ears, teeth, skin, and claws for any emerging health issues. As you learn about your new dog, never hesitate to ask your dog’s veterinarian if you feel your dog is shedding excessively. It can take some time to learn what is normal and what may indicate a skin issue, particularly if you are new to the breed. Everyone loves the Labrador Retriever. Even before the smash hit movie “Marley & Me” was released, Labs were the first choice of pet dog breed for many families. But Rottweilers have many of the same qualities that make Labs such awesome pet dogs. Whereas you probably can’t go wrong with a well socialized Lab puppy from a strong genetic line, bringing a Rottweiler into your home can require a bit more consideration. So let’s look at how each breed can fit best in your life in terms of temperament! Most Lab owners don’t have too many questions when it comes their Lab’s temperament. This dog breed is usually too woven into today’s family culture to worry most of us! But there are some important considerations to factor in when committing to a Lab, especially if you will be training and socializing a Lab puppy. There are two distinct lines of Labrador retriever—the show line and working dog (gun dog) line. Today, the show dog line is called the English Lab and the working dog or pet line is called the American Lab. The line your Lab puppy descends from can have important implications for her personality and temperament, as well as her health. In general, many experienced Lab handlers and trainers feel the American (pet) Labrador is easier to train and handle. Although they may be rambunctious and lively as puppies, after passing the age of one year old, the lab line tends to settle into a happy family pet. The English (show) lab line, however, can take more effort and commitment to train and can take several years to really mature and calm down. If you already have a family, you may want to think twice before adding an English lab to your daily responsibilities! 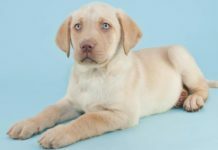 This informative article will give you an in-depth look at the differences between the American and English Labrador lines. Rottweilers often receive for so-called aggression. However, words like aggression are really just pointing out the strong guard dog tendencies that make these dogs excel as working dogs. One characteristic that contributes to the Rottweiler’s mistaken reputation as an aggressive dog is its size. But research over the last decade has clearly shown that size doesn’t necessarily matter in terms of aggressive tendencies. One study has shown the most aggressive dogs—determined by the number of aggressive or biting incidents—are the dachshund (number one) and Chihuahua (number two)! The truth is that Rottweilers, or “Rotties” as breed enthusiasts call them, have evolved from a working dog line called the drover line—drover meaning herding. These dogs had a job to do 24/7, protecting livestock herds from predators. And predators might strike at any time to try to win a meal, whether a Rottie was in charge of guarding tasty goats or delicious cows. So the Rottweiler has developed tremendous guard dog characteristics and a near tireless enthusiasm for this job. So what does this mean for you as a new Rottweiler owner? At the most fundamental level, this means you will be in charge of teaching your Rottweiler puppy how to use his guarding tendency in a positive and productive manner. In a way that causes no harm to you, your family members, other family pets or other people and animals not known to him. Not surprisingly, this can equal a lot of training time! Due to the Rottweiler’s size and strength, these dogs are not recommended as family pets in homes with babies or small children. A Rottie can innocently sit down and do damage to whatever happens to be underneath her, and it just isn’t worth taking the risk with your little ones! Let’s take a closer look now at guarding instincts of the Labrador and Rottweiler. As you will find out, their talents are very different! Most Labs live to retrieve and your lab can be taught to retrieve just about anything. Many hunting enthusiasts especially value the lab’s love of water and swimming combined with their retriever instincts, particularly when hunting water-loving targets. Rottie breeders are the first to assert that any dog puppy from any breed has the same basic potential to become a wonderful family pet. Interestingly, puppies are a lot like kids in that the first 24 months of life are critically formative for both physical health and psychological health. In other words, it’s a lot easier to train than to re-train. So if you get your Rottweiler as a puppy, it is you who has the greatest impact on your puppy’s life as an adult. Whereas Labs are born and bred to retrieve, Rottweilers are born and bred to guard. Therefore, a bored or anxious Rottie is a dog that may become destructive or aggressive or both, if they don’t have any way to work off their natural energy. The most important lesson you can teach your Rottweiler puppy is that newcomers (both people or animals) are not necessarily threats. Your Rottie will naturally bond with you and your family members, but you will need to acquaint your puppy with the concept that strangers can be friends as well. Again, this takes training and repetition, along with lots of socialization both within and outside your family from puppyhood. Ultimately, which behaviors your puppy takes on will largely depend on you! The Labrador Retriever is number seven on the list of smartest dog breeds, according to canine psychology professionals, dog show judges, and breeders. The number nine position is taken by the Rottweiler. This means you will get an intelligent dog whether you choose a Rottweiler vs Labrador. As previously highlighted in this article, you may have your work cut out for you with training a puppy from either dog breed! However, the type of training will be different. It depends on whether you are trying to encourage an immature and playful Lab to behave appropriately. Or trying to socialize a Rottie so that its guard dog instincts are used in a positive way. However, these highly intelligent dog breeds will not respond well to negative training methods! In fact, negative reinforcement, or punishment-based dog training, is linked to a higher incidence of aggression—exactly what you want to avoid. Especially when training a Rottweiler! If you don’t feel confident and/or well-equipped with using new positive training methodologies, don’t let this deter you. There are many wonderful dog trainers and guides that can help you train your new puppy in a way that is healthy, happy, positive, and fun! 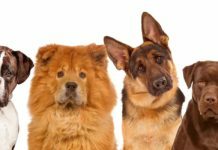 Considering breed-specific health issues becomes especially important when you are choosing between popular purebred dogs such as Labrador vs Rottweiler. Purebred dogs bred for certain appearance or behavioral traits may have a genetic disposition to a range of health issues. A thorough genetic and health screening in both parent dogs and potential new puppy can help minimize the risk of picking an unhealthy puppy. Let’s look at the major health concerns of each dog breed in this section. Labs have a rather lengthy list of heritable health issues. The majority of issues are, however, joint-related. Shoulder, elbow, and hip dysplasia occur when the components of a joint don’t fit together properly. 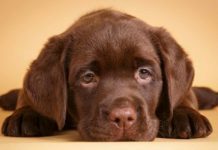 Surgery is the only way to treat dysplasia problems, although, your dog’s vet can do screening to detect if your Lab puppy is prone such condition. Labs are also especially prone to various cancers. Careful researching the breeder can help reduce the likelihood of your Lab contracting cancer. Another serious health condition in Labs is Progressive Retinal Atrophy (APR)—a hereditary eye condition that can cause blindness. Rottweilers are prone to similar genetic health issues. Again, shoulder, hip, and elbow dysplasia can greatly impact your Rottie’s quality of life, but your breeder should be able to demonstrate joint health in both parent dogs of any puppy. Rotties are also especially prone to certain cancers, including lymphoma, liver cancer, bone cancer, and spleen cancer. Another condition known to affect Rottweilers is Wobbler’s syndrome—a neurological condition that causes a wobbly-appearing gait. Other conditions include kidney disease, heart disease, blood diseases, and eye problems. Is a Rottweiler vs Labrador Right For My Family? Even with all of the information in this guide, you may still feel unsure about whether a Rottweiler vs Labrador is the best dog for you. This is totally normal and natural, by the way! Any dog is a huge decision, a big commitment, and a choice that should not be taken lightly! Sometimes, it can help to spend more time with each dog breed, whether by visiting a breeder or spending time with a friend’s dog. Your own situation can also help you decide which breed is the best fit. How much time can you commit to training, exercising, and playing with your dog? When you make your decision, please comment below and let us know! We’d love to hear about that special moment you decide to bring home your new canine companion! Adams VJ et al. 2016., Exceptional longevity and potential determinants of successful aging in a cohort of 39 Labrador retrievers: results of a prospective longitudinal study. Acta Veterinaria Scandinavia. Nolen S. 2010. Rottweiler study links ovaries with exceptional longevity. Journal of the American Veterinary Association. Duffy DL et al. 2008. Breed differences in canine aggression. Journal of Applied Animal Behaviour Science. Sacks J et al. 2000. Breeds of dogs involved in fatal human attacks in the United States between 1979 and 1998. Journal of the American Veterinary Association. Todd Z. 2012. Positive Reinforcement and Dog Training VII: Summary and Conclusions. Companion Animal Psychology. Previous articleCan Dogs Eat Blueberries? I used to have both a pure Lab and a 3/4-Rottie+1/4-Lab. And I would have to say that I agree with most everything in this article. Although my Rottie was fixed, she topped out around 115 lbs. I got her at 6 months old and she was a very loving dog. She had one aggressive incident, but that was likely more due to my leaving for military training and not choosing an appropriate caretaker. She was very loving to everyone while I was around. Both dogs tended to want to run a lot, and would go out the door and run around the neighborhood. Both dogs were very attached to their “pack.” She passed away in May 2016 from an apparent heat stroke after about 9 months of arthritis problems. She was 12.5 years old. My lab passed away shortly after his 15th birthday last fall. He had been having arthritic problems for almost a year. He topped out at 105 lbs, but had since slimmed down to 85 lbs. I learned things from losing her that I could incorporate to make my remaining time with him last as long as possible, namely more regular exercise. I now have a 4 month old lab puppy, who I am doing my best to train correctly, make him a good dog and keep him fit so that I can hopefully have as many good years as possible with him. I own a Rottie. She is six. 110 pounds of love. Great with kids and other dogs. But l was aware of her power and she is not my first dog. The breed l would not recommend to first time dog owner. Even tho people meet her and want one just like her. Hard work. Stubborn. But so worth it!